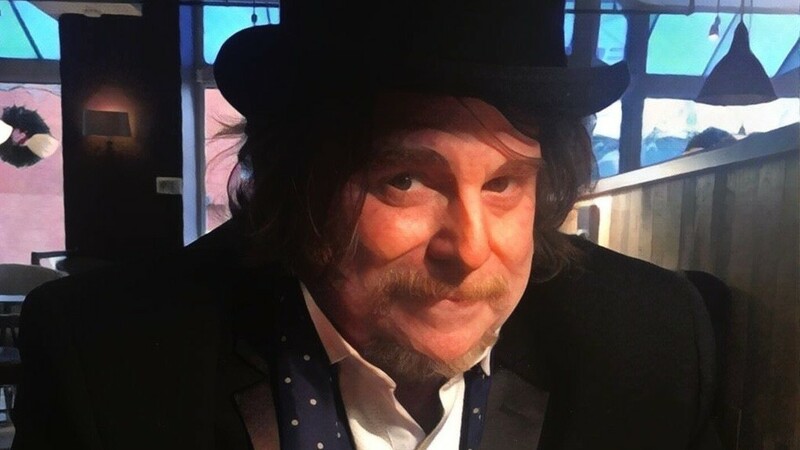 This veteran singer, songwriter and session musician has been flying under the ‘commercial’ radar for many years now although he is loved and respected in the ‘Power Pop Community’. While not strictly Power Pop, Corin’s influences certainly puts him in the ballpark. With two excellent albums in his back pocket – SONGS FROM THE BRILL BEDROOM and NEW LION TERRACES – Corin began work on his third solo release when something happened that would change the course of his life forever: he suffered a stroke. Miraculously, Corin fought back hard and in the process, created his masterpiece: BROKEN BISCUITS. The album, which includes appearances from many of Corin’s musical friends including Tanya Donnely (Throwing Muses/Belly/Breeders), is a delicious platter filled with some of the most melodic hooks you’ll hear all year. At times, it sounds like Corin plucked some of these melodies straight out of heaven and quickly put them down on tape. Fans of Paul McCartney are going to love this album, by the way. While some rockers prefer to lean more towards a John Lennon influence, Corin channels Paul McCartney in spades. His voice has the sweetness of Paul but there's a little rasp that adds depth to his vocals. “Little Crumbles” is a rocker that sounds early ‘70s McCartney jamming with Tommy Evans (Badfinger) and Ronnie Lane and Rod Stewart (The Faces). “Broken Biscuits” is a nice musical nod to “Uncle Albert/Admiral Halsey.” “Edison’s Medicine” could be the younger brother of “Maxwell’s Silver Hammer” when he was 64. But not all of the album is an homage to Macca. The very personal “Broken Buiscuts #9” is quite lovely and emotional. As is the absolutely stunning “Jellyfish.” And trust me, there’s more here on this slice of audio candy. It is a fantastical album. Terrifical, too! BROKEN BISCUITS is Top 10 of 2017 material for sure. Stephen SPAZ Schnee invited Corin to partake in the INTRODUCING THE BAND series and he graciously accepted. 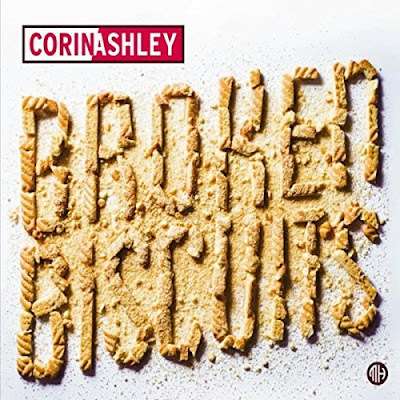 So, read on and find out just how Corin overcame a great deal to bring BROKEN BISCUITS to you! CORIN ASHLEY: Why, hello out there, all you Spaz rockers. My name is Corin and I live in Boston, but I grew up outside of Philadelphia, playing bass in cover bands in taverns and pubs where working men and women engaged in elaborate mating rituals. I used to be in a band called The Pills which was a very hyper Mod-Pop, jumping around, knocking over the drums sort of band. We were together for 10 years, did three albums and toured around a lot and did all the things Rock bands can do except become rich and/or famous. Those two things eluded us very effectively. We were a very exciting live band, though, and I’m proud of what we did. I’m a professional musician. I make a living doing it which means I wear a lot of different hats. Sometimes I play my own music for not very much money, sometimes I play other peoples’ music for a bit more. Sometimes I’m a session bass player. Sometime I get to do cool things like play guitar for Mary Wilson of The Supremes or open up for The Beach Boys or Chicago. In my heart of hearts, what I really think of myself as, is a songwriter. I love singing, I love recording and playing bass and all of it, but my real passion is writing. CORIN: It’s my third solo album and it was mostly done at Q Division and Zippah, two studios in Boston with people I love to work with. I did a couple of tracks at Ardent in Memphis, which was a real joy for a Big Star geek such as myself. I do a lot of overdubs in my home studio and it was mixed by my dear friend Ducky Carlisle. He has a studio right up the road from me and he’s done some very cool records there with Mike Viola and Bleu that people might know. CORIN: I’m kind of going through little identity crisis about this, actually, because I’m realizing more and more that the form I prefer is growing obsolete and I’m keenly aware of exactly how much music is coming out every second. I do think in terms of something being an album, but I’m wondering if this might be my last one. Maybe it just makes sense to release songs two at a time or something. CORIN: Well, for the most part, I track to tape to start- usually my 1” 8 track machine for basics, so that’s the foundation of the song and that is usually worked out. I have a song fully written before I roll tape, anyway. 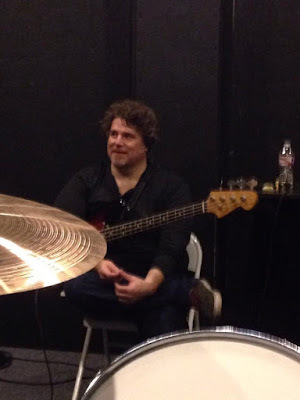 Most songs start with myself on guitar and the drummer, usually my buddy Matt Burwell, although I did a couple of songs with Jody Stephens in Memphis as well. I try to get a really good foundation on those 8 tracks and once I add the bass on there, I go to pro tools for vocals and sparkly bits and bobs. Now, I’m not a snob about doing something to a click, moving sections around, and adding drums last if that’s the way the song happens to come into being, but generally I take the more classic approach because I really love the way bass and drums sounds on tape. And I like to speed things up and slow them down. CORIN: Just due to the nature of getting a bit older, it’s not a band in the same sense as The Pills were a band. I have a kind of repertory cast of like-minded co-conspirators and I know what strengths they bring to a song. For instance, the song I did with Tanya Donelly, “Wind Up Boy”, my friend Brian E. King from the band Parks, he’s just a whiz at coming up with interesting chords. We started that song at Q Division studios before I had a bridge and I called Brian at home. He hopped on his bike and came over and he’s just the guy to tell you “This is where it should go” with total confidence. He’s the least “I dunno, what do you think?” person in the world. And then Tanya added her wonderful Tanya-ness on top of Brian’s chords and that made the whole tune much better than if I had been rigid about doing it myself. CORIN: Not really, actually. I have found that digital recording allows people to tinker forever and tweak and finesse everything to the within an inch of it’s life. I take a lot of care when tracking to get things right, but I do think there’s a point of diminishing returns where the life gets sucked out of the song. If every song is perfectly in time and in tune and the tempo never strays and it’s all tuned to 440 and we all use the same plug-ins, it gets a bit too formulaic for me. I never even like to do more than three attempts at a basic track. If the song is solid, we should be able to lay it down after all these years of playing. I’ll obsess on tones, getting things just right before tracking, but I get bored. CORIN: I obviously come from a deep guitar Pop foundation; I grew up listening to Wings and Cheap Trick and The Raspberries, and there’s a song called “Jellyfish” - which probably isn’t too hard to figure out the inspiration for that one. Now, beyond that, I have a big attraction to psychedelia, both contemporary and classic. Bands like Pond, Butterscotch Cathedral, The Apricot- an AMAZING band from Norway, highly recommended. I like a lot of Jon Brion’s film music, that probably influenced some of the textures on the album. Later XTC is definitely in the mix on a few songs and there’s one called “Junior Partner” which has a real Jimmy Webb feel to me. CORIN: Did I ever?!? I actually had a major medical thing happen in the middle of making it: I had a very gnarly stroke and completely lost the use of my fingers on one hand and had to re-learn to play. I did months of vocal therapy, speech therapy, all sorts of therapy. Long story short, it was a bad reaction to the contrast dye during CT scan at the hospital. That whole thing stopped me in my tracks and I didn’t think I was every going to play again, let alone finish the album. But, you know the funny thing? It was a very dark time and a stroke just de-frags your brain, I was wiped, reformatted, but in the hospital, the neurology students came around with the head neurologist and they stare at you like a specimen. They do these neurology test to see what’s working and what’s not connected to your brain anymore- and this a major thing to the guy in the hospital bed, but they are seeing at as pure medical information. So, they just say “Hmmm, interesting, his fingers don’t move anymore, let’s put that in the chart”, very nonchalant and matter of fact. Anyway, my face was all droopy on the left side, and they were staring at my face and telling me to try to smile and one student said “I think that’s about a 4, Bells makes 7s”, something to do with the level of palsy. But I felt my little broken brain tucking that phrase into the song idea folder in my head: “Bells makes 7s”, that sounds like a lyric. That was on day 3 of my hospital stay and it was the first moment where I felt myself being me, doing what I do. I was blank, just mostly in varying shades of despair, but that one moment made me remember, “Oh yeah, you hear phrases and save them for lyrics, that’s what you do”. CORIN: Working my way back to the point where I was able to sing again. That was really, really big. In fact, the first time I cut a lead vocal after the stroke, I came out of the vocal booth and Ducky was sniffling a bit, crying. It really got to me. CORIN: I dunno, any suggestions? No, I guess the thing is to play shows in different cities and I’m doing bit of that: New York, Connecticut, Western Mass, but it’s always a conflict for me because I really prefer to be the singing bass player in a band, but realistically I end up doing a lot of acoustic shows. I play with some great people for local shows, but they aren’t always available to travel for not very much money. I’m afraid I’ve become accustomed to playing with very good musicians. I really like acoustic shows as well, especially in places that aren’t necessarily rock clubs held together with duct tape. I like doing house concerts, and book stores and cafe’s, things like that. Those seem like honest, proper songwriterly places to play. But then I always come back to wanting to play bass live, so that’s a thing that is often pulling at me. I really adore playing bass. CORIN: Oh man, it’s a constant flow of music from minute to minute, but this week the Dirty Projectors album and the new Robyn Hitchcock album has been on the turntable a lot. I loved your interview with him and I think this is the best thing he has done since SPOOKED. Brendan Benson really brought out somethings special in Robyn, and those Nashville cats backing him up sound killer. Another Nashville recording I’ve been listening to is an advance of my friend Fred Eltringham’s album, which I think is going to be coming out on Ben Kweller’s label. Fred and I used to be roommates and play in a band together and he was in Gigolo Aunts and the Wallflowers and now he plays drums for Sheryl Crow. He’s done an album of covers that he loves and I played bass on a track by The La’s sort of reimagined as something by The Who, circa WHO SELL OUT. In other words, I play a lot of bombastic bass all over it. His album is really cohesive and enjoyable, though. He played on one of my favorite records of all time by Tears For Fears. It’s called EVERYBODY LOVES A HAPPY ENDING and it is a masterpiece of songwriting, arrangement and production. Anyway, I love Fred and that’s certainly a good sentiment to end an interview with. I love Fred.